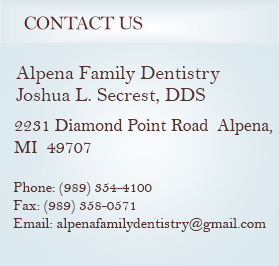 Dr. Secrest graduated from the University of Michigan, School of Dentistry in 2007. While serving as an officer with the United States Navy Dr. Secrest completed an Advanced Education in General Dentistry, where he received additional training in endodontic, periodontics, oral surgery and pediatric dentistry. Since receiving his DDS degree, Dr. Secrest has completed numerous post graduate courses and is a member of the Michigan and American Dental Associations. Dr. Secrest was raised in Southeast Michigan. He and his wife, Suzanne, married in 1997 and have three young boys. 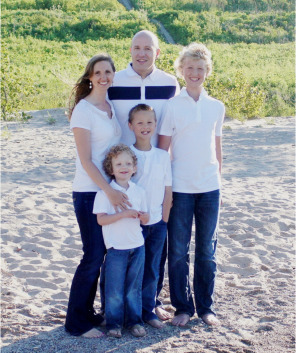 In his free time, Dr. Secrest enjoys his family, fishing, camping, hiking, and canoeing. With an emphasis on quality patient care, Dr. Secrest remains committed to continued education and learning to keep up-to-date with the latest advancements in dentistry. He regularly attends continuing education seminars to stay informed of new techniques, and the latest technology and procedures. Our exceptional, friendly staff is our greatest asset. 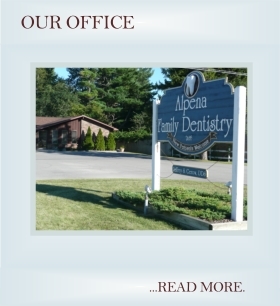 Our team is here to ensure a pleasant experience during your visit to our office. Your comfort is our primary goal and we feel it is important that you understand the treatment you’ll be receiving. Our staff is highly trained and dedicated to answering any questions regarding your dental treatment and providing you with excellent, personalized care. "Please feel free to share with us your needs and concerns."